Picking and planting the right plant in the right place will save time, money and improve the overall garden. When plants are in the right place they thrive, which means less time maintaining them. It also means they’ll need less fertilizer, water, and pesticides. Your garden will be greener, both in looks and eco-friendly. How is the decision made what is the “greenest” plant for the garden? The first step is to evaluate the landscape site. The placement of a plant is the most critical, and that’s for more than just appearance. This is where the help of a landscape design architect can be essential. Gardening better and “greener” means putting plants in the best possible location for them. There aren’t any benefits of trying to force plants to grow in a site that doesn’t have the right amount of light, sun, or soil. Evaluating the place that is going to be planted means reviewing the site in terms of the light, type of soil, pH, and drainage. How do you measure the amount of sun to determine full sun or partial sun? A place that gets at least six hours of direct sunlight is full sun. What does getting sun mean? It means if the sun casts a shadow. Light shade or part shade can be described as dappled sun when the sun moves across plants quickly. Many plant tags will go a step further to indicate that a plant needs at least four hours of sun. The benefits of evaluating the right amount of sun for a plant and planting it in the most advantageous spot pays back big rewards. If a plant isn’t planted with the right amount of sun it can affect the color of the blooms, the amount of blooms, and its overall vigor. It can also make it susceptible to pests and diseases. Plus, it takes time away from the gardener who tries to determine what to do to make the situation better. A lot of times it simply is take that plant out and start over. 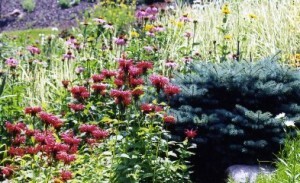 For many homeowners, coming up with an overall coherent landscape dseign can be daunting. That’s why we’re here to help. Determining which types of garden plantings will work best to complement a home’s style, thrive in the soil type, and appeal to a client’s own personal taste are all part of what we consider when we work with our clients to bring their landscape visions to life.